KAMPALA – National Water and Sewerage Corporation (NWSC) has in a statement said there will be disruption of traffic on Jinja road for about 21 days as it embarks on building new sewer lines for the growing population of Kampala City. In a statement, the cooperation has stated that it contracted Sogea Satom to excavate and lay sewer lines along the Jinja road between Electoral Commission and Centenary Park, beginning Friday, November 9, for a period of 21 days. “NWSC is working jointly with Uganda Police and Kampala Capital City Authority to ensure that the sewer works and traffic diversion are managed with minimum inconvenience,” NWSC stated. 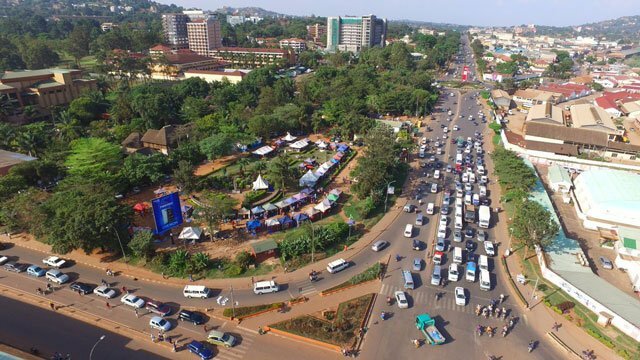 During the excavation period, the cooperation said, some sections of Jinja road crossing will be closed to motorists and traffic will be diverted to alternative routes. “The excavation works will be done in two phases to allow proper traffic management and minimize traffic disruptions,” the notice indicates. Also, normal time of work will be through the night and it will take twelve days to complete phase 1, 2 and 3 of the pipe installation while all reinstatements of the road pavement will be done within another nine working days. During shift three of the road crossing, heavy trucks will be diverted to 5th, 6th, and 7th streets. Motorists that use Jinja Road crossing along Electoral Commission and Centenary Park have been advised to use alternative routes during this period to avoid travel delays.